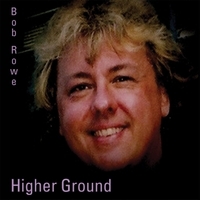 Bob Rowe began his music career by playing to small audiences in area clubs, coffee houses, and concert halls in West Michigan and the Chicago area. Later on, he opened for major artists such as country music legend Ernest Tubb. Some of the places he performed in include: The University of Chicago, Governor’s State University, The Ann Arbor Road House, The Warf in Milwaukee, Holy Name Cathedral in Chicago, and St. Bartholomew’s in New York City. In 1988, Bob founded Renaissance Enterprises: a West Michigan-based nonprofit organization that provides over 150 free music and art programs to nursing homes, senior apartment dwellings, and other institutions with almost no access to art programs. These programs are available nationwide. This unique outreach—inspired by Bob’s deep love for the elderly—won him the Giraffe Award in 1996 and the prestigious Mother Teresa Laureate in 2006. He is also a recipient of the International Peace Award. During the 1980s, Bob signed a contract with the World Library Publications of Chicago, which published his inspirational music in Catholic hymnals, missalettes, recordings, and other publications. He appeared in many sacred music festivals and recorded a series for the 1989 Eternal Word-Global Catholic Network (EWTN). Bob recorded over 22 albums, published hundreds of songs, poetry compilations, songbooks, and other publications. He has appeared on the PBS, TCT, TBN, EWTN, and other national and regional television networks. His music was featured on Clear Channel Radio, EWTN radio, SiriusXM Radio, and other networks. He also enjoyed chart success with his recording of “Hallelujah” in 2010. Often performing together with the legendary country music group The Green Valley Boys, he continues to make and share his music.